This book charts the impact of the 1st World War on the communities of Bottesford and Muston. 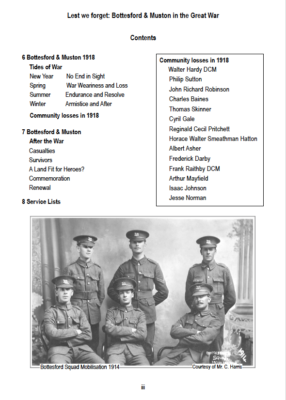 Gleaned from photographs, memorabilia, family memories, and local newspaper reports it tells stories of mobilisation, service at home and abroad, work and war effort, survival and loss, peace and remembrance. 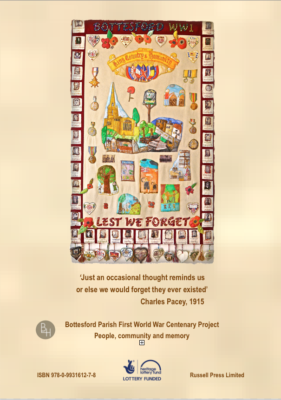 This local history puts together the fragmented memory of those swept up in the conflict. 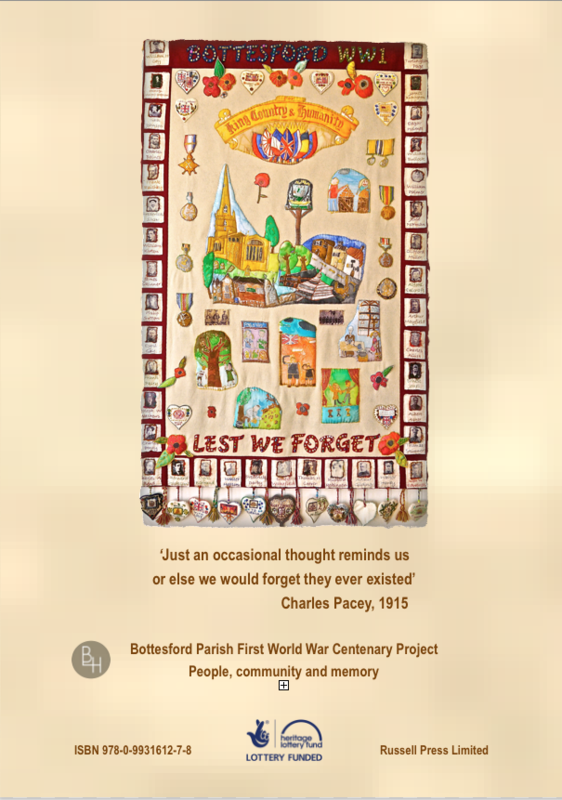 Over two hundred and fifty people served in the armed forces from Bottesford, Easthorpe, Normanton and Muston. 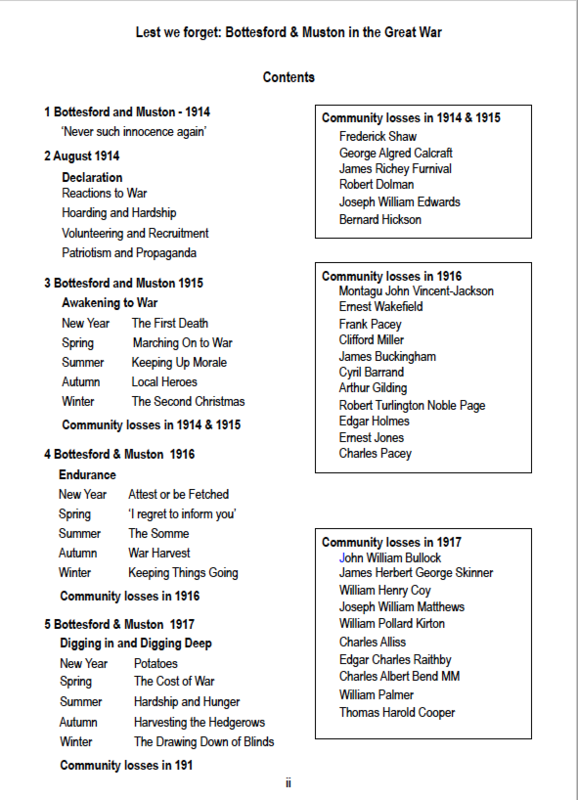 Forty one men are remembered on the Bottesford and Muston war memorials. 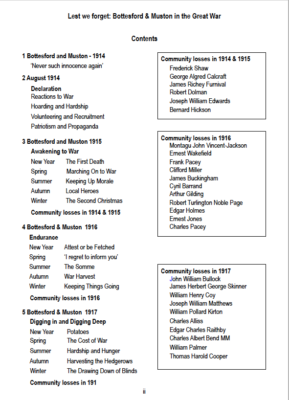 Accounts of their lives commemorate their war time service and loss. One hundred years on their endeavour is brought back into view. 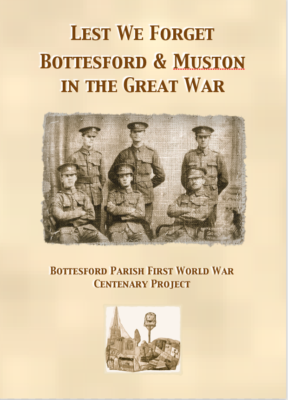 This volume is a product of the generosity of today’s local residents in donating their memories and memorabilia, time and devotion in reclaiming and remembering Bottesford and Muston in the Great War. Meticulously researched and engagingly written, this book will appeal to all those interested in our local history and the service of people who did so much to define and secure the vibrant community we live in today. This page was added on 12/02/2017.